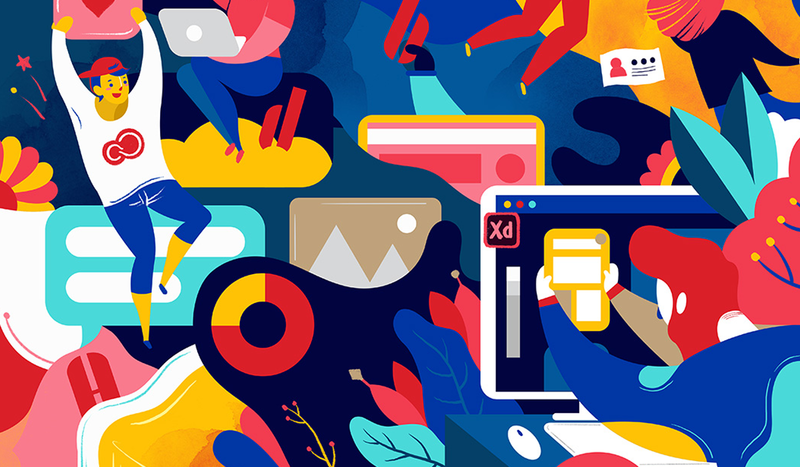 // "An Outstanding Year - Adobe" is consisting of three colorful illustrations. 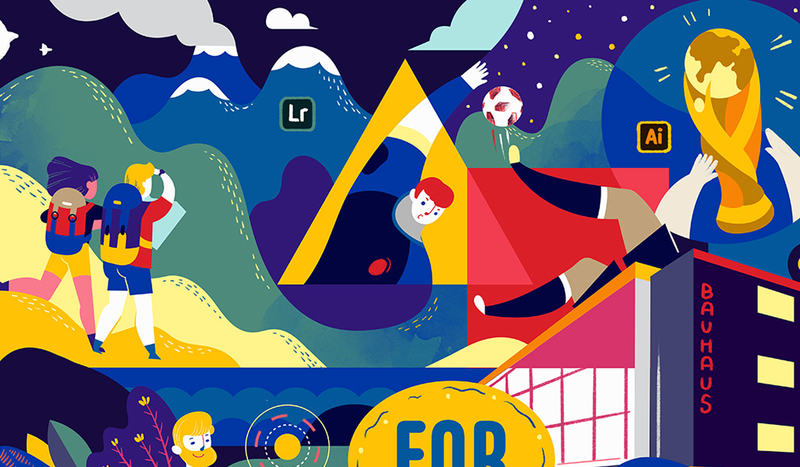 Each illustration contain four Adobe themes / creative events which are happened in 2018. I chose for each illustration a different color combination, because I want that each illustration has own uniqueness, but they all still look harmonious together. The beautiful colors also emphasized the wonderfulness of the year!